Tuff Rider children's zip paddock boot. The TuffRider Starter paddock boots for children offer traditional styling with a spur rest and punched toe at an affordable price. 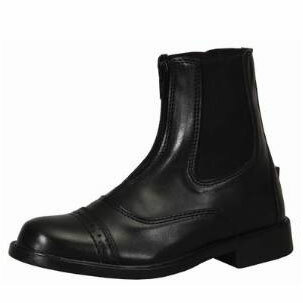 The soft synthetic leather children's riding boot is comfortable with it's elastic gussets at the ankle for all day wear. The front zip makes it easy to put on and take off.